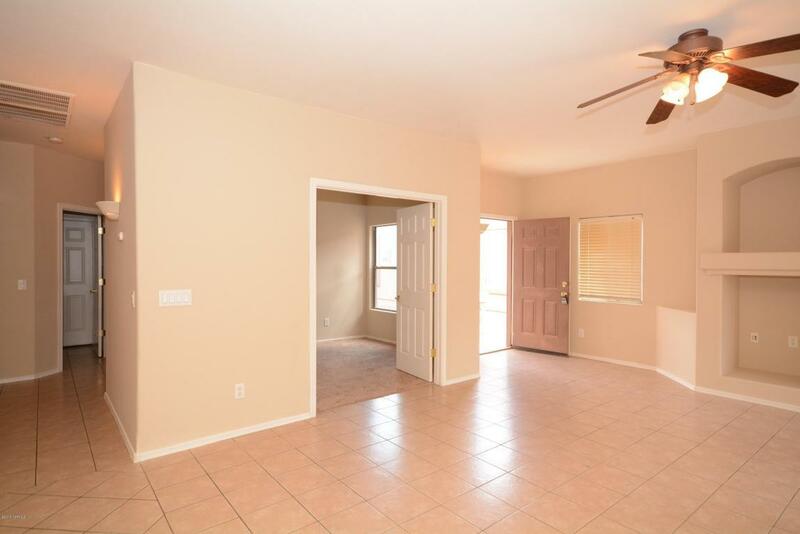 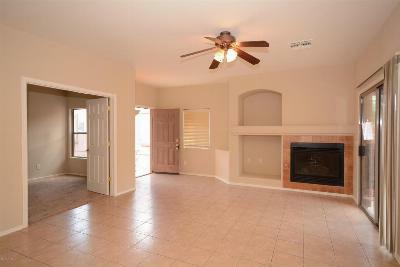 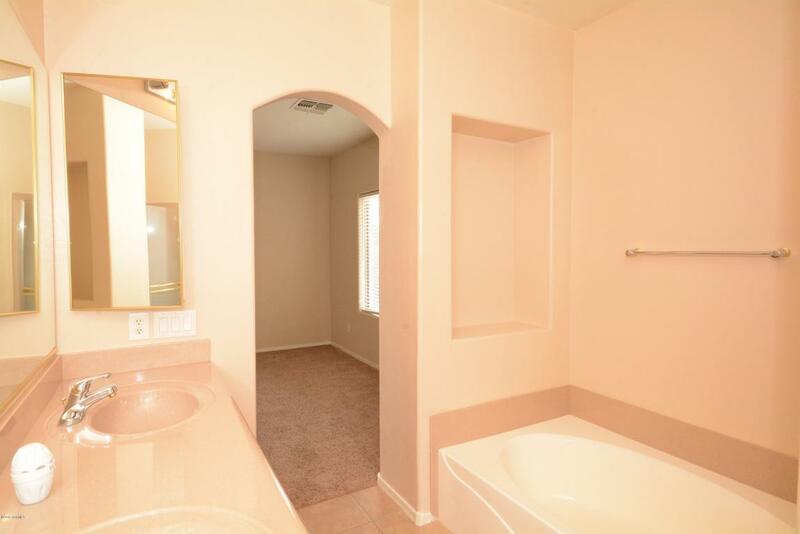 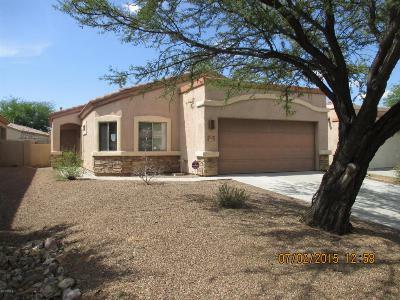 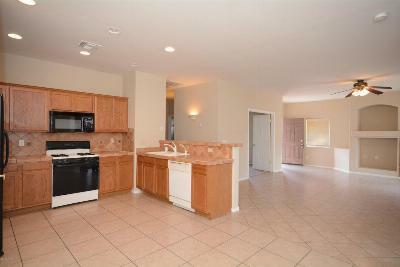 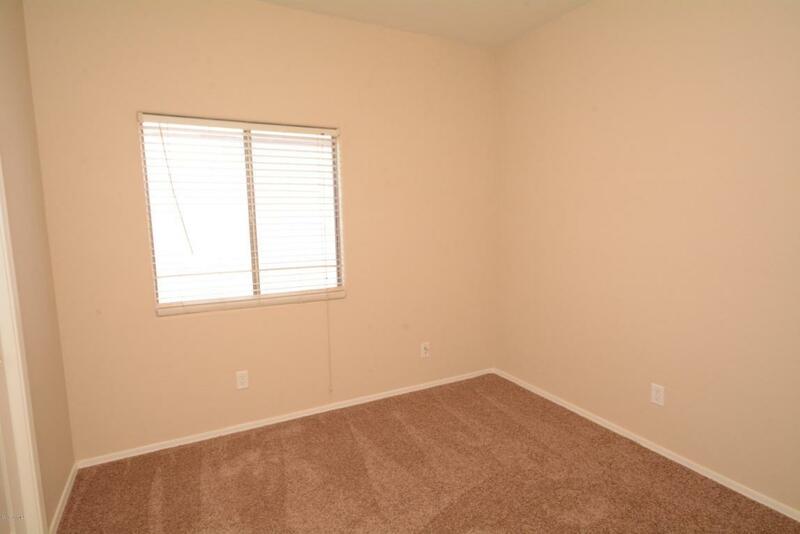 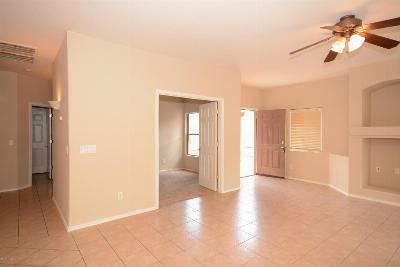 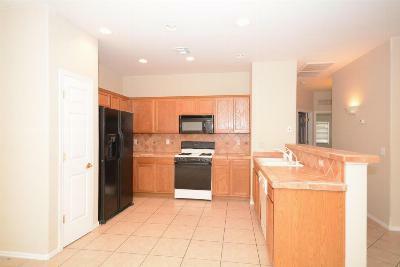 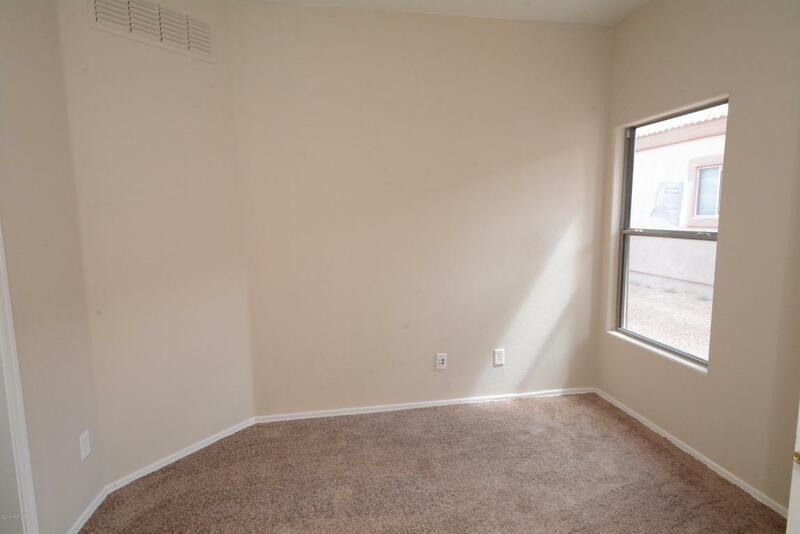 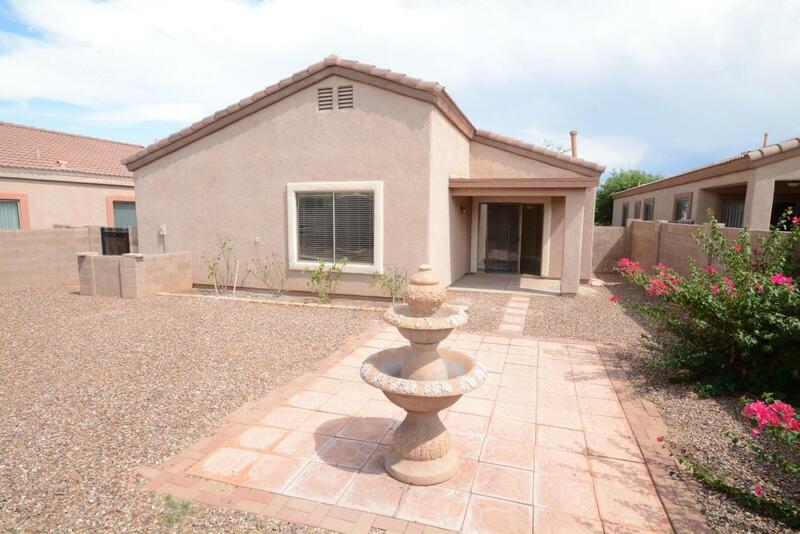 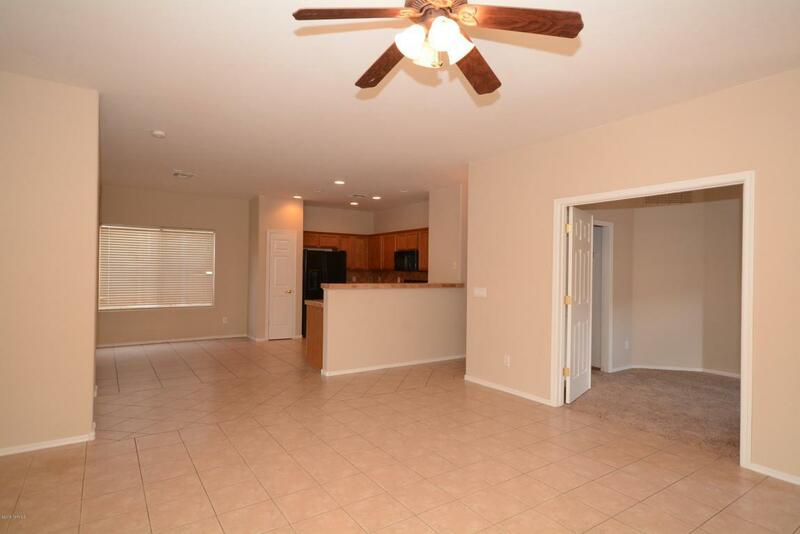 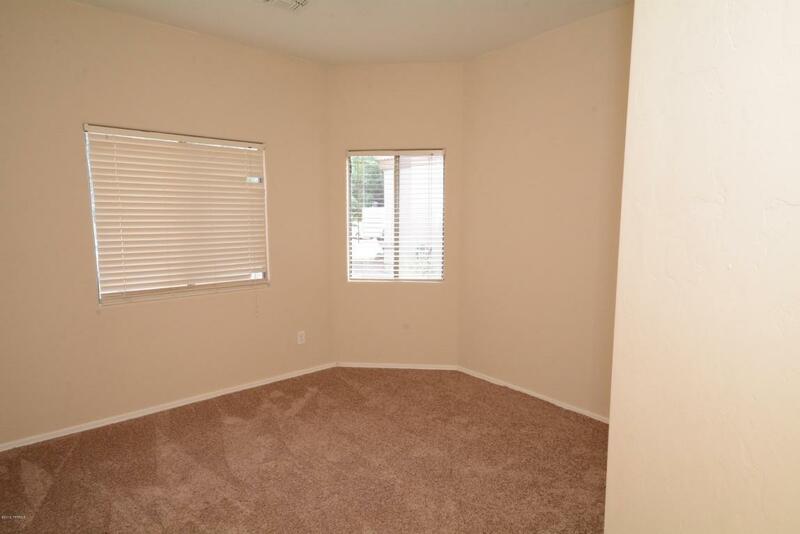 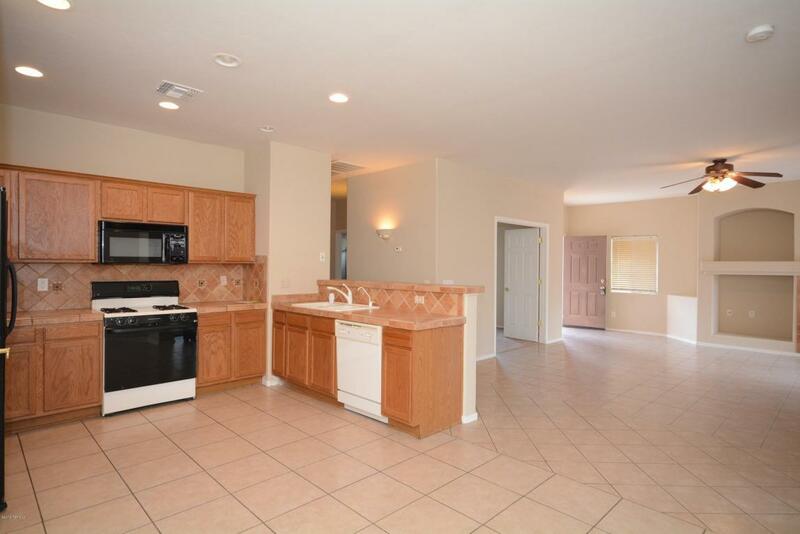 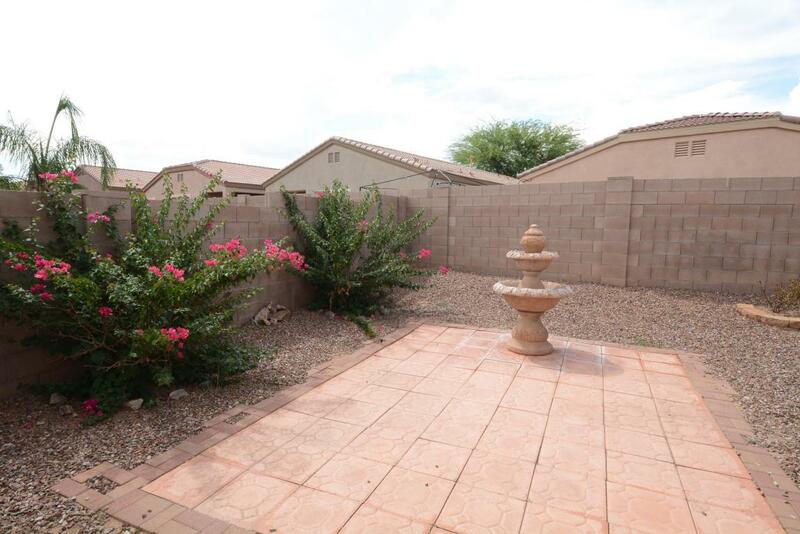 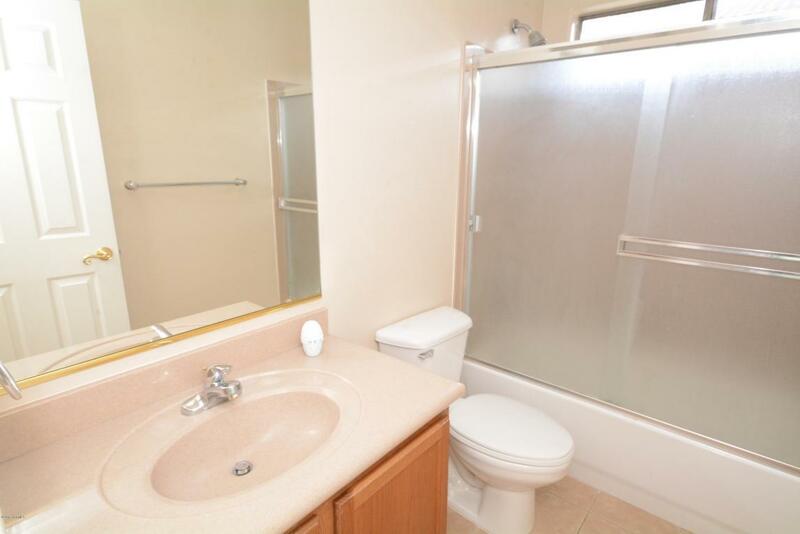 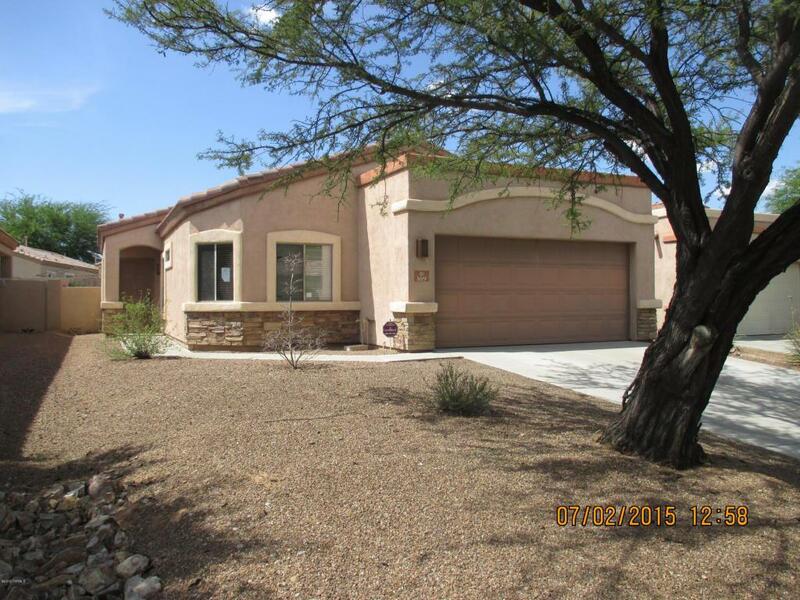 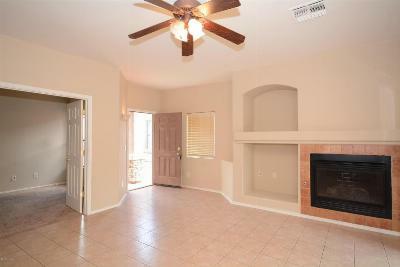 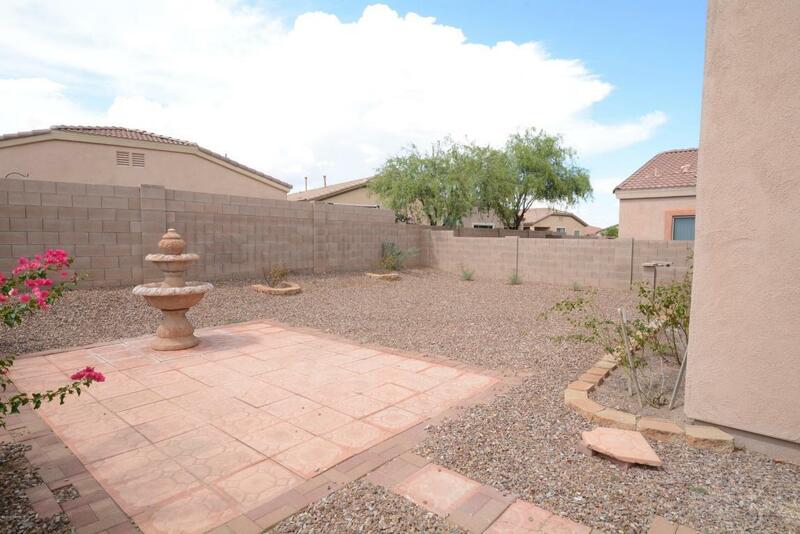 This Rancho Sahuarita home for sale has new paint throughout & tiled great room. 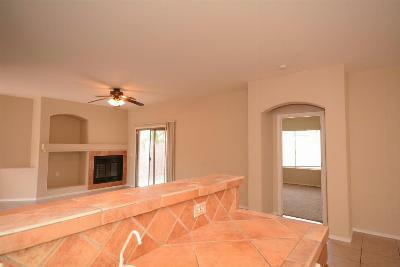 Tile continues into the dining area & kitchen as well as down the hall to the bedrooms & laundry room. Tiled counter visually separates the kitchen from the living space to keep your guests from peeking at your secret recipes. Master suite is off the great room at the rear of the home while the other bedrooms open off the central hall heading toward the front. 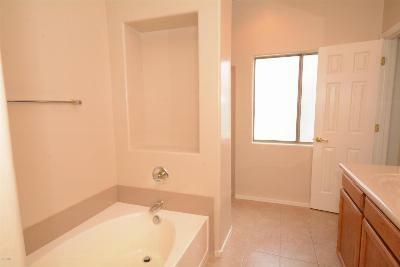 Ensuite bath has separate tub & shower plus a private room for the commode. 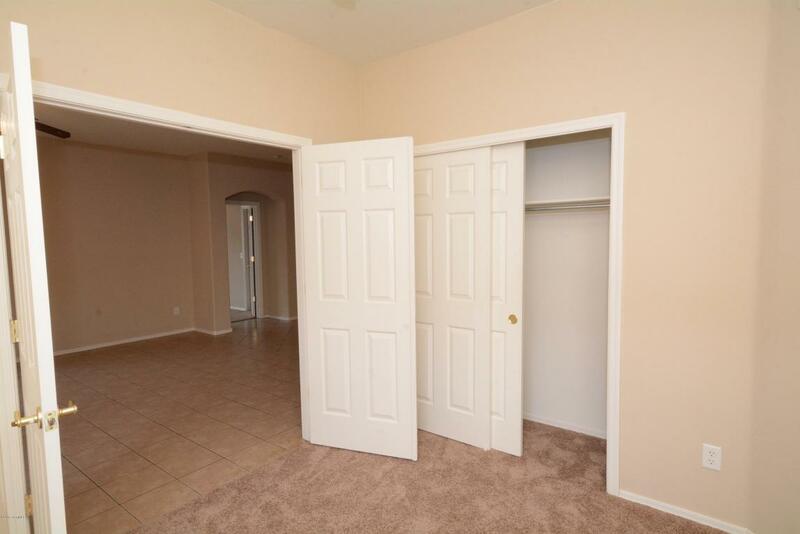 Walk-in closet finishes off this private space. 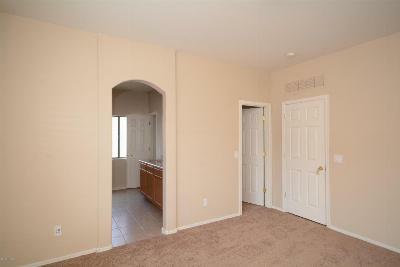 Off the other side of the great room is a den/fourth bedroom! 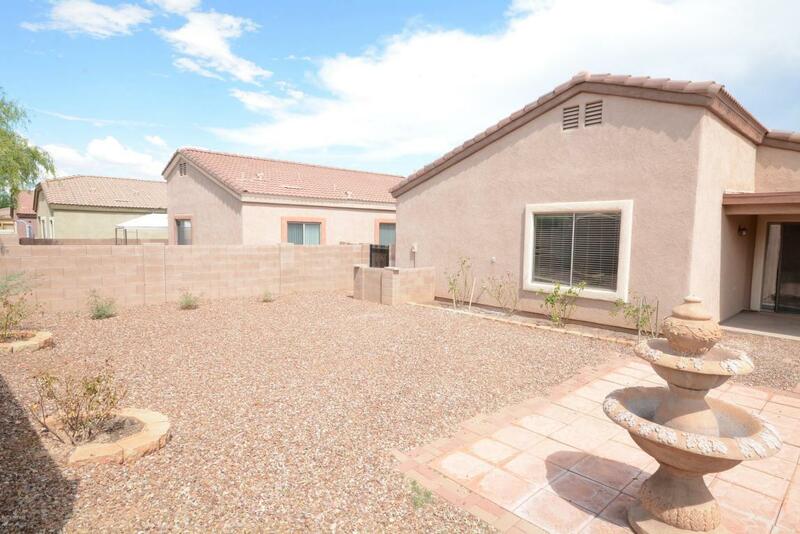 Slider access to the backyard opens onto a covered patio with an uncovered extension. Central location means easy freeway access for the commuters going north or south.